One of the largest fishing ports in the area, Olhao is a charming combination of Moorish architecture and traditional Portuguese market town - it's also the perfect choice for a memorable holiday in the Algarve. 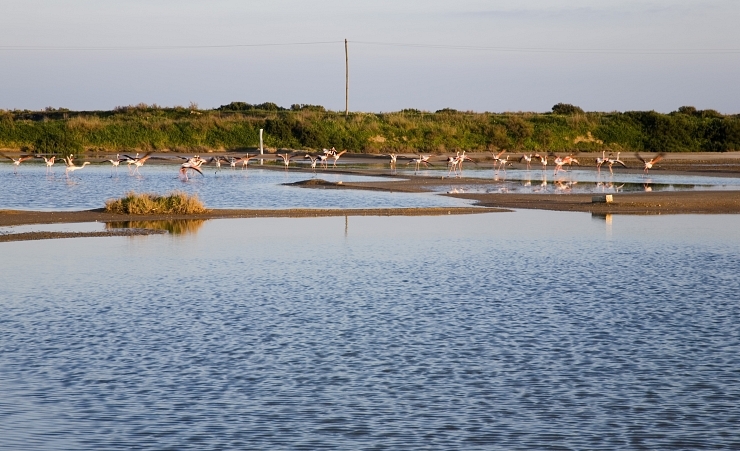 The town itself is situated next to the Ria Formosa Nature Reserve, an important wildlife sanctuary featuring scenic lagoons and marshes. One of the pleasures of a holiday in Olhao is sightseeing in the picturesque old quarter. The meandering streets with their very elegant merchant houses and wrought iron balconies, Baroque churches, traditional chapels and a treasure trove of shops and markets are all a delight to explore. At the centre of the town, the church of Nossa Senhora do Rosario is worth a visit. Built in 1698, it was the first stone building in Olhao and features an impressive baroque facade. Olhao itself doesn't have a beach, but that doesn't mean you'll miss out on the sand between your toes. Why not take a boat trip to the islands of Fuzeta and Armona? It makes for a relaxing day out in the sunshine and you can enjoy the sandy beaches, clear waters, and selection of activities such as snorkelling, diving, canoeing, windsurfing and sailing. There are of course several golf courses within easy reach too. It's worth taking a stroll along the promenade. Here you'll be surprised to find an exceptional array of restaurants, cafes and bars - and some excellent fresh seafood. You?ll have so many memories of your holiday in Olhao you?ll want to come back next year. The sound of jazz as you sit in a caf? overlooking the water, the taste of the very freshest seafood, the colour and bustle of the markets, the wonderful sense of history? It?s all here for you to discover on holiday in the Algarve.